Vilia is an award winning Middle Eastern dance performer, director, choreographer, and instructor based in San Diego, California. Currently, Vilia performs regularly as a soloist and artistic director of the multi-award winning dance company, Arabina. A dance instructor at UCSD and private dance studios for the past twenty years, Vilia has also been a featured instructor/performer at dance festivals in San Diego, Las Vegas, Mexico and Europe. 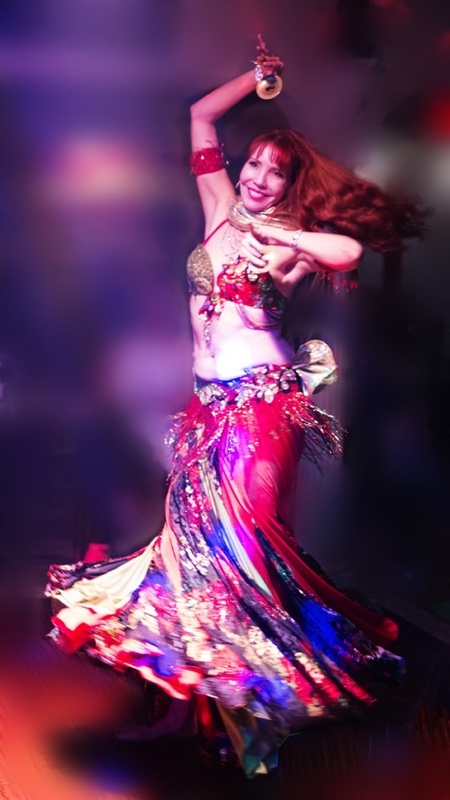 She has been honored to perform with dance companies such as Raks El Anwar, Jillina’s Belly Dance Evolution and Bal Anat -- Including Bal Anat's European debut. Vilia's studies in the Salimpour formats have spanned more than ten years and she regards them to be the most influential and transformative of her dance career. She currently holds Level 4 certification in the Suhaila format and Level 3 in the Jamila format. She is currently working towards her Jamila Level 4 certification and looks forward to continuing her studies in an effort to educate and inspire others through the art of Middle Eastern dance.